But oh! to see Him face to face. And glory give to Him alone. 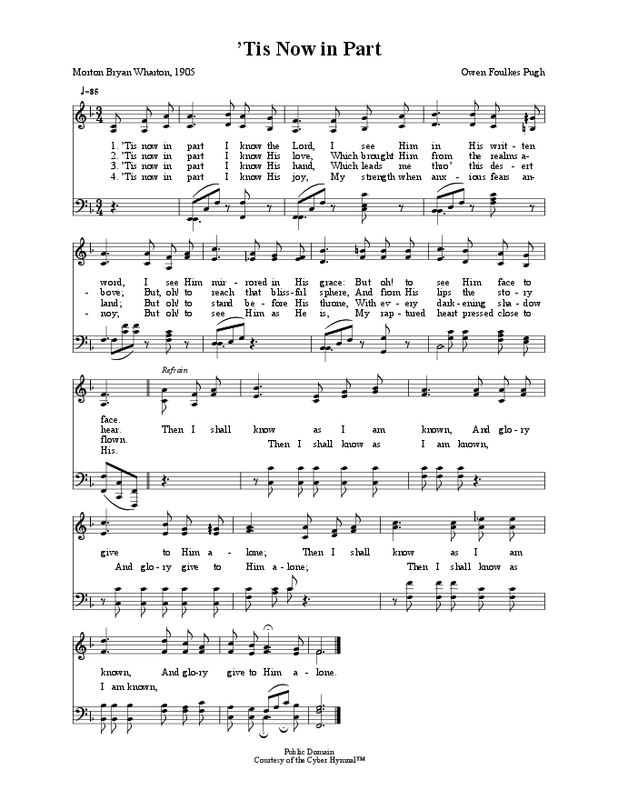 Notes: This song was written and first sung at Atlanta, Ga., and is dedicated to Hon. W. J. Northern [sic*], former Governor of the State, and Chairman of the Business Men’s Gospel Union. *William J. Northen served as governor of Georgia (1890-94) and chairman of the Southern Baptist Convention (1899-1901).